The phrase “Keep Austin Weird” rings especially true on the East Side. Venture away from downtown just east of the I-35 and you’ll be enveloped by the culture and history of this eclectic side. 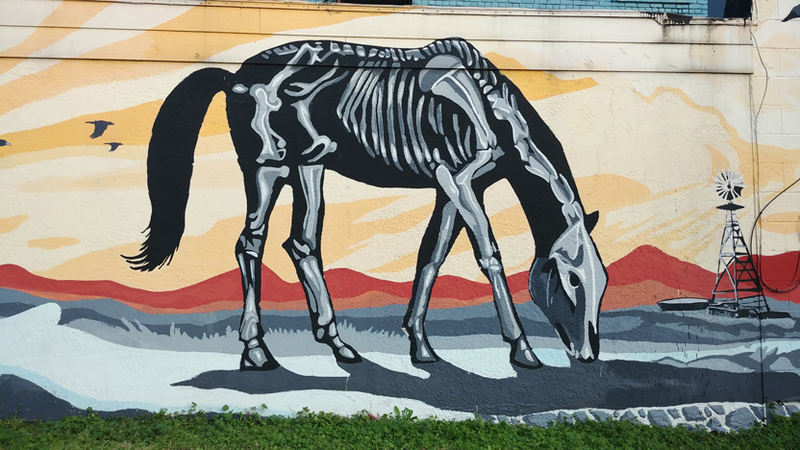 As an IBIZ District (Independent Business), every street is filled with local hot spots and art that has kept this part of Austin different from the rest. You won’t find any chain businesses residing here. It’s a juxtaposition of old and new, traditional and modern, and of course wonderfully weird. Spending a day on the East Side can feel overwhelming at first, which is why we’ve put together a list of some of our favorite things to do. The East Side is renowned for it’s artistic and eclectic vibe. 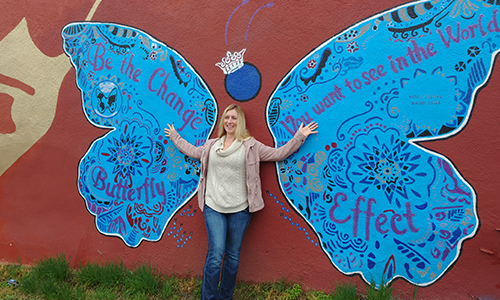 After walking only a few blocks east of the I-35, you’ll quickly become accustomed to the street art wrapped around telephone poles and electrical boxes. This whole section of Austin is a gallery in itself. Street artists use walls, abandoned houses, and sidewalks as their canvases. On our East Side Art Tour we explore the public art scene that is very much alive and promoted in this historic area. Additionally, there are numerous galleries sprinkled throughout the East Side and one of the biggest art events, appropriately named EAST, that happens every November. You can buy spray paint and original work from some of the artists we see on the tour at SprATX. Or visit Canopy, a collection of artist studios and one-of-a-kind galleries that hosts free events to promote the Austin art community. If you’re visiting in mid-November, check out EAST (East Austin Studio Tour) to meet local artists and buy local art. Last year, 534 artists participated. The East Side is one of the fastest growing areas in Austin. Luckily the historic Hispanic culture has been preserved and protected via the Tejano Walking Trail. 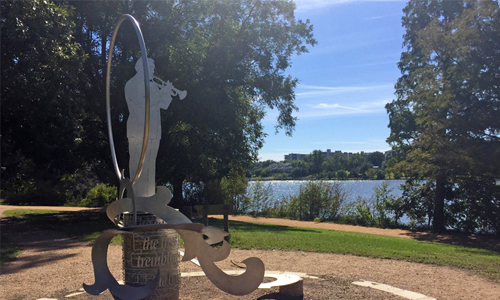 The trail spans 4.9 miles, covering 24 iconic landmarks. The self-guided tour stops along houses, churches, parks and landmarks that share the story of the culture and community. As an independent business district, Austin’s East Side is home to wonderfully unique boutique and neighborhood shops that support the local community. Spaces like those listed below foster the creative scene here and bring visitors and locals together. Farewell Books: A community store that sells rare, new and used books and also runs as an art gallery. Switched On: A shop selling vintage and revitalized music gear. You can plug in headphones to jam on any device. 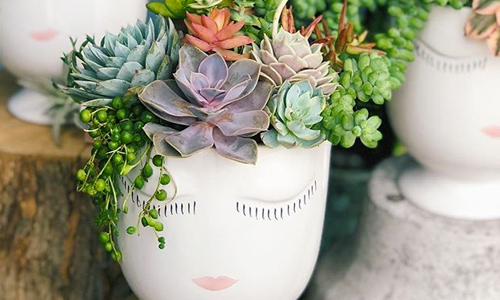 Succulent Native: Find cool cacti and succulents and even help craft your own arrangement in this unconventional shop. Take Heart: This cool, petite shops offers handmade and selected home accessories and gifts. Johnnie’s Antiques and Collectibles: Find rare collectibles from furniture to vintage cameras at a range of affordable prices. Paper + Craft Pantry: Local stationary shop (think Paper Source) and workshop space for fun DIY projects. No visit to Austin is complete without diving in head first to the ever-growing food scene. The East Side is home to local restaurants and popular food trucks offering an authentic taste of the eclectic food culture. You can join the line of hungry barbecue lovers eager to try Franklin Barbecue. Or for less of a wait, try other fan favorites La Barbecue and Mickelthwait. Alternatively, try the delicious vegan and vegetarian options offered up by Counter Culture, Vegan Nom and Veracruz All Natural. The last of which Food Network confirmed as one of the top 5 taco spots in the country. Via 313: My personal favorite pizza in town. They serve Detroit-style pan pizza and just opened up a brick-and-mortar on East 6th. Blenders and Bowls: Get your fruit fix at this healthy local smoothie and açaí bowl stop. Did we mention they also serve avocado toast? Yes, please. Cisco’s: Authentic Tex-Mex restaurant that’s an Austin staple. 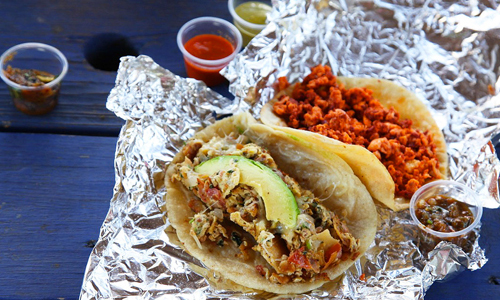 Try their famous migas and check out the murals outside that we visit on the East Side Art Tour. Or for a truly historic experience, visit Victory Grill, a southern cuisine cafe originally opened in 1945 and named after the US victory over Japan. The restaurant and bar was opened so that black soldiers returning from the war could have a place to hang out and drink when Austin was still largely segregated. In the 1950s, the spot became known for it’s iconic blues and jazz acts including Chuck Berry, James Brown, Etta James, Billie Holiday and Janis Joplin. Today, the cafe is listed on the National Register of Historic Places, and is still open for business. The captivating nightlife of the East Side is a whole new experience. You can easily find good music and cheap drinks at every dive bar. Or you can explore Austin’s growing craft beer scene by visiting a few local breweries on our Beer Tour including Zilker Brewing, the perfect neighborhood bar and Hops & Grain, a local favorite know for their community partnerships and innovation. The White Horse: The Texas vibes definitely flow in this two-steppin’ honky tonk bar that offers great live music and a happy hour that’s hard to beat. St. Roch’s: Austin meets New Orleans in this neighborhood bar. Football fans can catch every New Orleans Saints game and even enjoy a crawfish boil on special occasions. 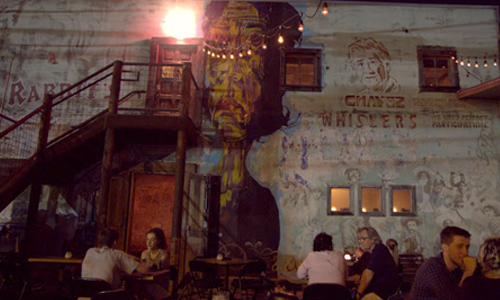 Whisler’s: Awesome hangout to do all of the Austin-y things in one trip: check out live music, drink delicious cocktails and try a fusion food truck Thai Kun. They also have a killer happy hour and a Mezcal bar upstairs!